As a full-line supplier of metalworking tools, Duracarb naturally provides the full ISO range of quality tools. All standard geometries are supplied. 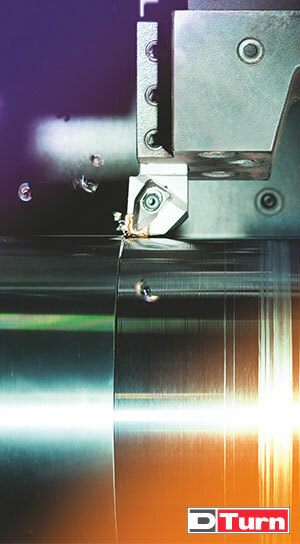 Duracarb offers a variety of unique chipformer and grade combinations for ISO standard turning inserts that provide solutions for most of modern industry's machining needs. The Groove-Turn tools are multifunction turning tools, able to operate in a sequence of grooving and turning modes. Moving from turning to grooving requires consideration of the basic maneuvering principle, thereby eliminating the possibility of insert breakage. In this situation one must release the side deflection which is necessary in turning, but not recommended in grooving. The Duracarb threading line includes a large variety of thread standards on laydown triangular inserts. The new inserts with chipformers provide high profile accuracy and optimal chip flow. Regular threading insert types are ground and available in a variety of high-quality, high-performance cutting grades, uncoated and coated, including PVD and CVD coatings. For customer convenience, standards for threads and pitch are clearly marked on each insert.